Thanks to pilots, mechanics and OEMs around the aviation world, Champion’s Slick Magnetos are the most relied upon mags in the industry. In addition, their harnesses, which come in five different colors, are widely regarded as the best in class. Together, Slick Magnetos and Harnesses form the basis for a high performance piston ignition system. Champion’s Slick Magnetos power a majority of the world’s piston-powered aircraft today. And because every Slick Magneto shipped from the factory is new, not overhauled, it is the choice for quality-conscious pilots and OEMs. Champion’s Slick Magnetos come with a full factory warranty and are less expensive than most competitor’s magnetos. 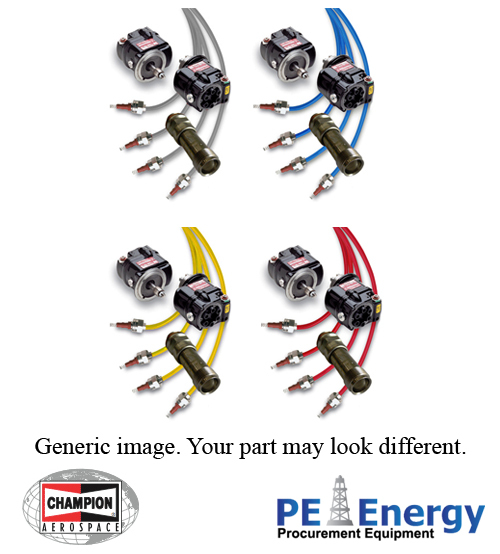 FAA-PMA approved Slick Harnesses by Champion are built to handle the maximum spark energy produced, while delivering more energy than is required by the spark plugs – even during emergency full-power engine operation. Using anything less could result in more than a 50% reduction of radio sensitivity in commonly used communication frequencies, as tested by Champion. Features such as a heavy-gauge contact spring provide more contact area and force inside the spark plug, while the flexibility of the coiled center conductor reduces fatigue and breakage resulting from repeated temperature cycling and vibration. OEMs and overhaul facilities request Champion Aviation SparkPlugs for their performance, heat transfer, leakage protection, advanced reliability, longevity and cost-effectiveness. Features such as a non-screw head electrode offer a consistent contact surface for reliable harness-to-spark plug termination and energy transfer, while their hot-lock assembly procedure assures resistance to the high pressure of combustion gases that’s leakproof. Champion world-class spark plugs are just one of our many maintenance products to keep your equipment fine-tuned all season long. From wiper blades to filters, Champion maintenance products have you covered.